Global navigation is visible when the learner is not in the process of learning on a course. When a learner is “in-course” (i.e. in the process of learning on a course), global navigation is replaced with the course title, to allow the learner to fully focus on the content of the course. 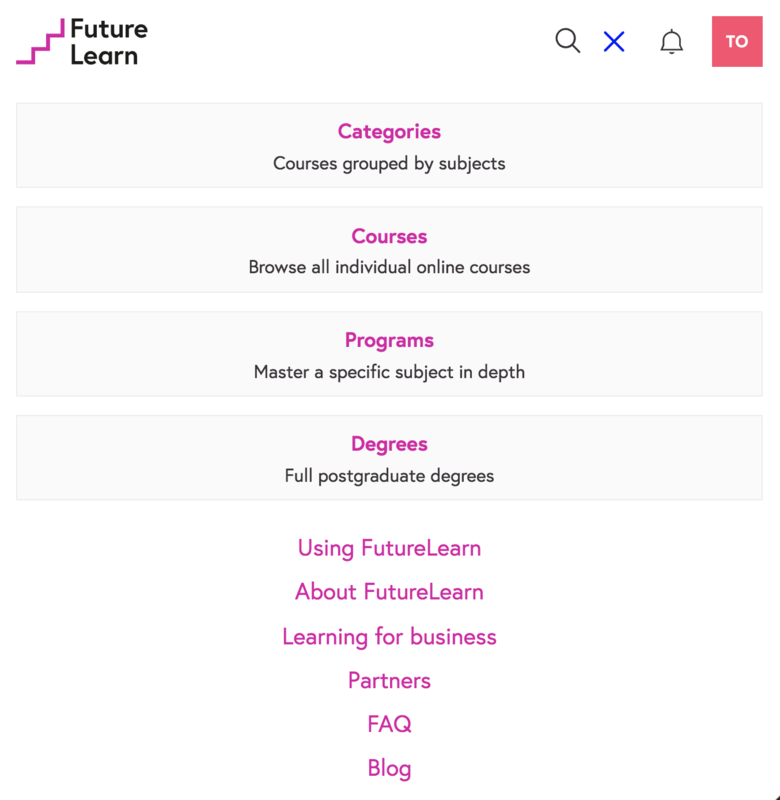 This is a menu bar that appears on pages that belong to a group of pages, for example the 'Using FutureLearn' pages. The page the learner is currently on enables an active state on the link for that page, which makes the text blue and adds an underline. These links remain visible on mobile.